Your pet, whether indoors or outdoors, should have their own space that they can call their own. When inside, having a pet bed of some sort, where your pet can stretch out, will offer comfort both physically and mentally. If you have a dog, you can reserve a corner where he can go to be left undisturbed. If you have a cat, getting a climber with an enclosed area for your cat to curl up inside is usually a winner. If you have a cat that doesn’t like using a climber, you can reserve his favorite shelf for his use. Whatever the case, a little alone time with a comfy place to relax will make your pet a happy one. Buying the cheapest dog or cat food on the market isn’t the best way to ensure your pet’s digestive health. It’s also, usually, not very good for them. Can you imagine eating something that, not only tastes disgusting but, was also bad for you? Dogs and cats can’t eat the same food for a variety of different digestive reasons. They also require a specific diet depending on their breed. You also need to make sure to give them fresh, clean, water a few times a day. A water dish will get filled with all manner of nasty things such as backwash, dirt, and dust. It also gets stale tasting which might be why your dog or cat is trying to drink from the toilet or faucet. The care of a good vet can’t be replaced. Taking your pet to see their vet should take place every time your pet needs his check up. Dental cleaning is also part of great hygiene and will help in keeping your pet healthy. 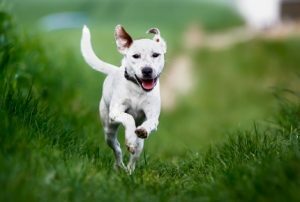 Flea and tick preventative should always be used and your dog or cat should be checked for heartworms and treated with heartworm preventative as well. Vitamins are also a great idea for your pets. Your pet needs your time and attention. A pet isn’t just around to be fed and watered. They’re your companion. Taking the time out of your day to teach them new things and to give them your love is a key ingredient to a healthy pet. Without your attention, your pet could be withering. They could be causing mischief to try and get your attention. Just as a child will do bad things to gain your attention, so will a pet. Loving and showing your pet affection can go a long way toward the health and well-being of your dog or cat.